Hi, I’m Adrienne, the sometimes bitter divorcee. 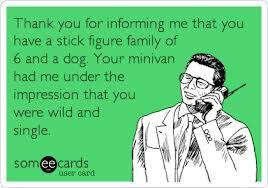 I’m sitting behind you at a red light and I have to stare at your happy family outlined in glaring white decals on the back of your minivan: Dad with his grilling tools, you with your shopping bags, and your sporty boy and girl, flanked by an obnoxiously cute dog. Yes, I get it: Your family is perfect. Intact. Whole. I’m not going to put my family layout on my car because what would that look like, with me on one side, my ex and his new wife, her three kids, and their new baby on the other, and our two kids pasted to the middle, halfway between us? Maybe we could even put my ex’s new wife’s ex somewhere on there too? Who can keep up? The whole lot of us are a family of some sort, but it’s not the kind you brag about. Let’s be real: I know your family isn’t perfect even if it is really great. Even if your marriage is going strong, you’ve faced hardship and strife. Your kids may be wonderful, but I’m sure they drive you around the bend at least some of the time. Maybe your stickers are just your way of showing how grateful you are for the best parts of your life. But I feel like you’re showing off. Your family is superior to mine because you have a spatula-wielding dad in the picture. It’s your right to decorate your car however you wish, but keep in mind all the families who are families, even if there are no kids, even if a parent or child has died, even if the grandparents are raising the child, even if the family configuration is one of many other scenarios that don’t play out well in stick-figure form. You can read about my family, a little worse for the wear, but definitely not broken, in Giving Myself Away, coming soon from Assent Publishing. Thanks for visiting, and please let me know how you feel about family stickers. 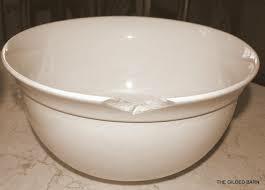 If I get married again, I don’t want new dishes. The first time I got married, everything had to be matching and new. I remember taking that handheld scanner at the department store and zapping the things we wanted to add to our shiny married life – vases and plates and platters, beer glasses and grilling tools and gadgets. All the right stuff would make us the perfect couple, charting a course together through housewares and beyond. The first time I married, I was young and idealistic and unrealistic. When things got broken, I believed they couldn’t be fixed. 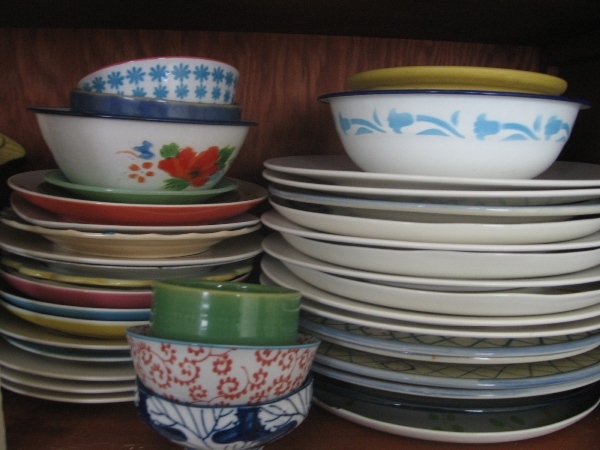 If I get married again, I want a mishmash of mixed-up sets of plates from both of us, chipped and old, tokens of the perfect marriage we were supposed to have the first time. Every day when I open my cabinet to pull out a cereal bowl or a coffee mug, I want to remember the hardships of life and where I’ve been. I want us to sit at a table with jumbled place settings, plates and kids not matching but fitting together nonetheless. I want to remember that I’m not perfect, he’s not perfect, we’re not perfect. If I get married again, I’m going to appreciate what I have a whole lot more. This time, I’ll know that cracked doesn’t mean unfixable. I will know that the things that get cracked just need to be treated with greater care. 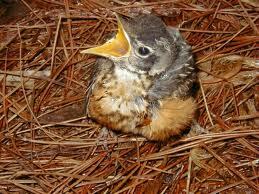 The kids and I recently found a baby bird lying on the side of my parents’ driveway. It was probably old enough to fly, at least a little bit, but it wasn’t moving very much. I didn’t say it to my children, but I thought it was dying. A few hours later when we were leaving, the bird was gone. “It flew away!” the boys exclaimed. 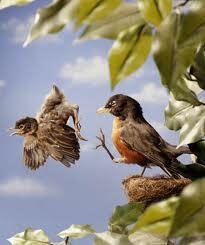 I’ll never know whether my mother moved the bird so they would think that, but I didn’t ask her. I wanted to believe it flew away too. I still wanted my mom to take care of me. When you get married, you feel like such a grownup. When you get divorced, you need your mommy again. All the things I did when I got married made me feel like an adult. Referring to “my husband,” signing the papers to buy a house, giving our first dinner party – I believed I had crossed some threshold into adulthood, never to return to dependence on my parents. But when Drew left, I suddenly felt like a little girl again. Getting up to make breakfast for my kids, I felt like a fraud – like I was trying on my mom’s makeup and heels – even though I had made them breakfast a thousand times before. When I made an appointment with an attorney to represent me in the divorce, I wanted to bring my parents with me. I realized that wouldn’t look very mature, and I reluctantly went alone. A spouse fills so many spaces left open by parents. My husband gave me reassurance that I was loved, like my dad. He told me my outfit was perfect on the first day of my new job, like my mom. He let me be the baby sometimes when life seemed too much and I wanted to stay in bed rather than get up and fulfill my adult responsibilities. When you’re suddenly the only parent in the house, it can be scary. I have to pay all the bills. I have to decide who to call when the pipe bursts. I have to tell my kids, no, they can’t watch that movie that “everyone else” saw. The worst is those late nights when one of your children is sick. No, the worst is those late nights when you’re sick AND your kids are sick. The fact is, getting divorced made me grow up much more than getting married ever did. Getting married meant going from the support system of my parents to that of my husband. Getting divorced meant I was finally going to have to figure it out on my own. Luckily, my parents are only an hour away, and my mom still lets me be a kid sometimes, even if it’s just preserving the fantasy that nothing bad happens to baby birds.